Hull City continued their winless home run as they lost 1-0 to a much-changed Swansea at the KC Stadium. Garry Monk made seven changes for Saturday's Premier League clash, but his side quickly found themselves in the lead when Jonjo Shelvey's 14th-minute shot was deflected off Ki Sung-yueng and wrong-footed Allan McGregor. While that represented a slice of luck, it was no less than the visitors deserved. Shelvey hit the post with a second long-range effort and Bafetimbi Gomis was also denied by the woodwork in the latter stages. Steve Bruce's Tigers, struggling with injury and suspension and second from bottom in the table, also hit the frame of the goal through Andy Robertson and had a last-gasp penalty appeal rejected but would have been flattered by a point. Since beating Crystal Palace at the start of October they have failed to win in 10 Premier League matches, collecting just four points from a possible 30. With Jake Livermore earning a fifth booking of the season and captain Curtis Davies coming off injured in the second half, things already appear bleak for the Boxing Day trip to Sunderland. The Swansea teamsheet appeared to give hope to the hosts, with top-scorer Wilfried Bony starting on the bench and Gylfi Sigurdsson, Leon Britton and Jefferson Montero all absent through injury. But the Tigers had troubles of their own to contend with, replacing the suspended Tom Huddlestone with Gaston Ramirez and the injured Michael Dawson with Alex Bruce. The game began vibrantly, Abel Hernandez hurling himself into tackles before Nikica Jelavic and Wayne Routledge wasted early chances at either end. James Chester was caught out by Ashley Williams' long ball, but Routledge pulled his shot wide of the near post. Ramirez also spurned a good chance, sending a wayward first-time effort into the stand after Neil Taylor diverted the ball into his path. The game did not have the look of a stalemate and the opener came in the 14th minute, Shelvey neatly creating room to shoot on his left foot. McGregor had it well covered but was left helpless as Ki's unwitting intervention saw the ball change course and bobble over the line. Hull were close to the ideal response eight minutes later, Robertson initiating a break down the left then reappearing in the box to collect Hernandez's lay-off. The Scotland international let rip but was denied by the crossbar and a fingertip save from Lukasz Fabianksi. That was as good as Hull's first-half efforts got, as passes began to go astray and Livermore collected his fifth booking of the season and a one-game suspension to go with it. Swansea came within a whisker of doubling their lead when Shelvey tried his luck from distance a second time. The midfielder took three touches without being closed down, with his fourth a fizzing effort off the outside of his right boot. McGregor was well beaten but the ball crashed off the post and came back across goal. Hull had a couple of chances after the break, Ramirez's free-kick briefly threatening before bending wide and Jelavic's header saved low by Fabianksi. But the pursuit of an equaliser almost cost them dear in the 54th minute when David Meyler carelessly lost the ball with Hull committed in attack. A lightning break ended with Tom Carroll threading a pass through Davies' legs and into the path of the unmarked Shelvey, who looked certain to score from eight yards. But McGregor threw himself forward and smothered the shot brilliantly with his feet. Bruce swapped a defender for an attacker on the hour – son Alex off for Sone Aluko – but the latter's first contribution was to go in the book for a sloppy foul on Taylor. Swansea failed once again to put the game to bed when Gomis got a slight touch on Marvin Emnes' cross in the 74th minute and watched as the ball wrong-footed everyone before nestling against the post. Davies hobbled off before the close, with Harry Maguire handed a Premier League debut, while Yannick Sagbo tumbled under pressure from Angel Rangel in the dying seconds. 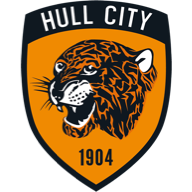 Hull: McGregor (7), Bruce (6), Chester (6), Davies (6), Meyler (6), Hernandez (7), Livermore (7), Jelavic (7), Ramirezn (6), Robertson (7), Elmohamady (6). 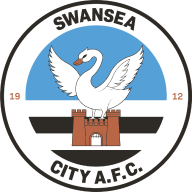 Swansea: Fabianski (7), Taylor (7), Sung Yeung (7), Williams (6), Shelvey (8), Dyer (7), Carroll (6), Routledge (7), Gomis (7), Richards (7), Fernandez (6).